Hot peppers come in all shapes, sizes, colors, and degrees of heat. They are widely used in some of the best and most interesting cuisines in the world, including Mexican, Thai, Korean, and Indian or Pakistani. Poblanos are the mildly spicy, heart-shaped peppers used at the green stage for the famous Mexican dish ‘Chile rellenos.’ When dried they are called anchos and ground into powder for mole and other Mexican dishes. Use the powder in any recipe calling for “Chile powder” or “Chile flakes”. Habanero peppers are used in the Caribbean for jerk sauces, salsas, and other hot sauce concoctions. They offer wonderful floral notes backed by intense heat. If you can’t take the heat, try ‘NuMex Suave Orange’ — it offers all of the floral notes with just a wee bit of heat. The hot and spicy cayennes can be used both green red, fresh or dried and made into flakes or powder. There are many cayenne varieties so one can tailor the heat of dishes by variety selection and the quantity used in a recipe. Cayenne powder is used in kimchee, the famous fermented Chinese cabbage dish of Korea. ‘Krimzon Lee,’ a hot paprika type pepper is great sautéed, roasted, in salsas, and even spicy salads. The thick walls are sweet and mildly hot. Then of course, there is the jalapeno, the king of all peppers in the United States and Mexico. It’s used for salsas, pickling, cooking, stuffing, and many other uses. If allowed to become red and smoked they become chipotles. jalapenos in any recipe calling for them. 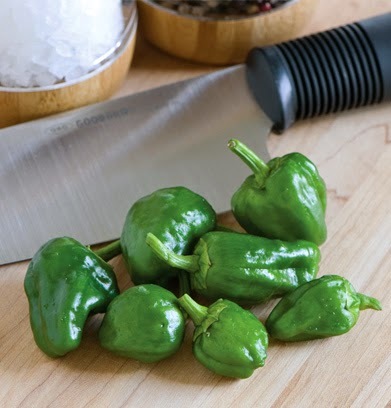 For a Spanish flair try using padrons as a tapas, a type of appetizer. They are harvested at the immature green stage when 1-1½” long, and have an excellent flavor when sautéed with a little olive oil, salt, and if you are a garlic lover, a few garlic gloves. Most padrons will be mild but about 5% will have some heat. If they grow to around 3” then all the fruits will be quite hot! 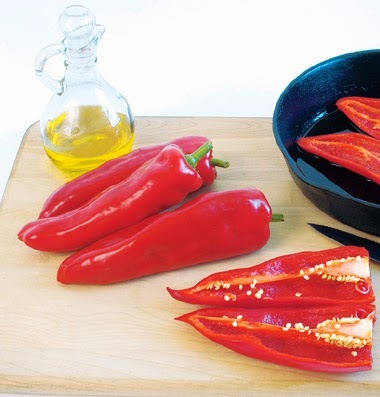 Anaheim, also called numex, peppers are sometimes stuffed but also roasted and sautéed. Traditionally, they are used green, but they are also good when red ripe. I don't like very spicy food, however I like trying new receipts. Also I don't like too plain food too. The hot and spicy cayennes can be used both green red, fresh or dried and made into flakes or powder. There are many cayenne varieties so one can tailor the heat of dishes by variety selection and the quantity used in a recipe. I buy them using discounts by WritemyPaper.net and then share with all my friends who like to cook.